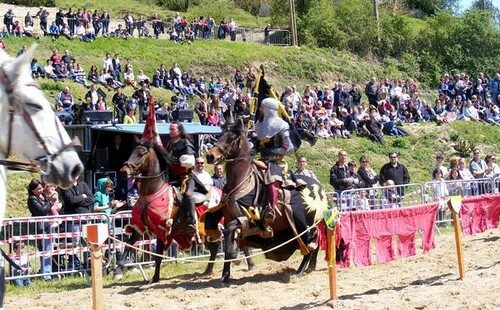 Equestrian jousts in the FESTIVIN, has photo by cavepanzoult one Flickr. Wednesday, May 1stBesides the numerous animations throughout the day, the Festivin 2013 will be the opportunity to present again the shows which we make his immense success of the last year. The Restoration on the spot possible all day long (fouées and tease). Tasting of wines of the Wine growers in the tourist cellar and walked to local products on the esplanade in front of the cellar. Entrance and free visit, wine-tasting glasses 2,50 €. 14 wine growers vinificateurs to discover in naming Chinon, has photo by cavepanzoult one Flickr. The wine growers of Panzoult are happy to announce you the reopening of the Tourist Cellar and its sales area and the tasting of Chinon: curious, passer-by, lover of the wine or the region. Mars:Lundi in Friday from 9:30 am till 1 pm and from 2:30 pm till 6 pm; in April to Septembre:Mardi in Saturday from 10 am till 1 pm and from 2:30 pm till 6:30 pm. 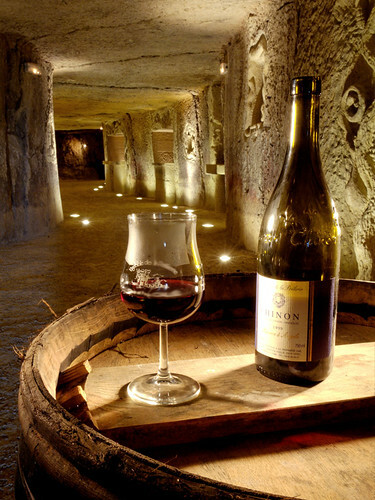 The Tourist Cellar of Panzoult is at present closed to the public until the next season. For any inquiry, thank you for contacting directly the President of the association of the wine growers of Panzoult, Charles PAIN, in 02 47 93 06 14. Till the end of the month, come to discover Sandra Marais's works to the tourist cellar of Panzoult! Next 30 of August is #CabernetDay! For its third edition, the cellar of Panzoult joined the celebration! Each year since 3 years, the grape cabernet is celebrated throughout the world, for a whole day. The goal is simple: give the floor to the lovers of the cabernet by allowing them to share on the Internet their passion for this delicious grape variety. What better way to celebrate this day than to come enjoy 100% Cabernet wines? Tomorrow, the touristic cave will be open on normal hours. Enjoy your holiday to (re)discover the wines of Panzoult by taking advantage of our panoramic tasting area. A pleasant view on the Vienna valley, no matter the weather! Sunday 5 August 2012, come partying in Panzoult! From the bourg to the touristic cellar, gastronomy, flea market and wine will be at the appointment! -110h-19h tasting of wines of Chinon and moreover, craft exhibition and local products, animations for the children. -MMEETING from 22 hours on the esplanade of the Cellar to admire the FIREWORKS!!! The "Loire aux Trésors" came in the touristic cave of Panzoult. All the team of the Loire in Treasuries, game organized by the interprofession of Wines of the Val de Loire, found itself in the tourist Cellar of Panzoult to recover of their 1st day of adventures in Touraine.